Every business owner or marketing manager who has ever attempted to write digital content knows how hard it can be to produce high-quality content. You sweat over the research, pouring over ideas and finally slave away writing what you hope will be useful and engaging to some viewers. Then you hit publish and nothing. No engagement or traffic, let alone shares or leads generated. While it’s easy to blame the content, (and sometimes it is poor), often it can be as simple as tweaking your content so it appears on Google when viewers are searching. After all, to engage with your content, browsers should first be able to find it! Here are seven easy SEO tweaks that you do not have to be an SEO rocket scientist to implement which could just see your next blog post soaring to fame. Ensure your content is Quality! It sounds simple, because it is. The easiest way to bring traffic to your website, is to be an expert on your subject. People recognise expert and quality content and more readily trust someone who appears experienced. So not only is your blog drawing traffic, but it is also building your reputation with these browsers. So it is important that what you are writing actually means something. In the past many marketing managers tried to artificially inflate their rankings by creating a meaningless article, stuffed with keywords and links. Commonly known as black hat SEO. However, Google’s new algorithm prevents this style of marketing. Instead try creating a genuine article using testimonies, and customer FAQ to be relevant to your viewers. It’s not enough to be saying something, you should also be saying it well. There is nothing like an interesting article to lose viewers because it is poorly written. If you are uncertain about the piece, try getting someone else to read it and their comments. Subtitles which can also feature a keyword, particularly the LSI ones. The content is a suitable length, depending on your industry and information. While every idea starts with something you think your viewer will be interested in, ultimately your job as a marketer is to convert those viewers. Your ultimate aim is to not only attract, but convert, close and then retain those customers. For this reason, if your content is attracting traffic but not converting any of those viewers, it does not have any value. One of the best ways is to ensure your customers are kept engaged while reading. We live in an age where people are in the habit of skimming content, so to catch their eye by placing visual content throughout your article. This will help you gain mass appeal and ensure your audience becomes more engaged with both the content and your brand, translating into conversions. In the past, manipulating links was all the rage in SEO community, but this all changed in 2012, when google took a firm stance against such tactics with the Penguin update. This does not mean that all linking strategies are doomed to failure. In fact the only difference is that now Google looks at link Quality instead of Quantity. This is good news for many smaller companies, who will find it easier to create high-quality external and internal links, rather than attempting to form thousands of useless links. If you have any questions about how to go about this contact us at One Stop Media, we are an SEO company in Melbourne who are skilled at improving your links as part of an SEO marketing strategy. External links should only lead to quality and reliable web pages, this helps your content prove itself with reliable additional information, and Google can trust the information you provide, is relevant to searchers. Internal linking is another useful strategy where you basically link your site’s content together. This an excellent way to boost SERPs in an effective manner. Today some of the best ways to generate engagement is to give customers the tools to do it themselves. Ensure that you incorporate the different social media networks that are relevant to your consumers. Don’t thwart your customers from taking immediate sharing action, ensure that the sharing buttons are obviously positioned and do not have vague symbols. Also, ensure that your content and website is optimised and fully structured for the different social networks you are linking to. This could be as simple as making sure your content is structured for viewing through a facebook portal or on a mobile device. Comments are one of the best ways to keep your content relevant and fresh, without continually creating new information. Users commenting on a page and your responses, bolster engagement while also nurturing those relationships and maintaining an organic SEO. For example if your users are asking for information that you provide in the comments, this is a prime place to generate backlinks and shares signalling to Google that you are providing a valuable resource to your customers. So having a comment section is great for engagement, however it can also be a gathering ground for more spam related comments, so do not be afraid to delete irrelevant comments. The main reasons you are creating this content and updated information is to generate new leads or refresh your presence to existing customers. However, the easiest way to miss the target on this section is to not have a call to action, or a simple weak one. Ensure your customers can smoothly transition from being engaged in interesting content, through to becoming a converted lead. If you have a consistent blogging schedule you are continually reaching out to new customers, don’t miss out on your chance to convert them. 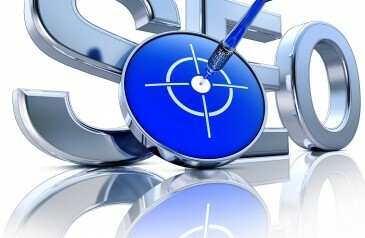 Search engine optimisation can become a powerful tool for creating content that your business can use as an investment. So next time, instead of hitting publish, scan your content for these areas, it won’t take much time, but the rewards can be significant.